Have you ever contemplated where all your refinery’s data goes? Is your plant capitalizing on all data collection opportunities? As stated in the last blog, IIoT: Acting on All Big Data, IIoT, the Industrial Internet of Things, is revolutionizing refineries’ data collection and enabling them to connect, collect, analyze, and act on data collection across the entire supply chain. IIoT application enhances plant value and the performance of its people, assets, and operations simultaneously. 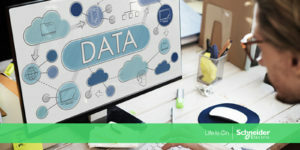 Simply stated, IoT as a concept is turning big data generated from connected devices or assets (often monitored by operators) into making smarter decisions. Alignment and integration of business and operational metrics help create the context for smarter decision making, in a timely manner, to improve business goals, such as, profitability, regulatory compliance, etc., Thus, the broad outlines of a business case for IoT in refining is built around synchronizing leading and lagging indicators, as close to real-time as possible. IIoT solutions, when deployed properly, can help solve these issues simultaneously. So you have learned about IIoT and know why it works…but now how do you apply this to your refinery? Step 1: Start with complete architecture in a pilot area, where problems are occurring. Step 2: Evaluate return on investment (ROI) before broadening project scope. Step 3: Integrate asset monitoring and management projects. Step 4: Merge IT and OT infrastructure. Step 5: Consult with experienced partner, such as, Schneider Electric. Insight alone does not create value. Until action, in the form of these steps, is taken to close the loop, nothing changes. IIoT implementation is the next step towards closing the loop, digitalizing your refinery, and acting on all collected data for better business practice. Read the Delivering Closed Loop Business Operations for the Refinery Enterprise whitepaper to learn more.